Experience why home & businesses in Energy, IL trust Service Detectives for guaranteed electrical, heating, cooling, security & generators...and more! 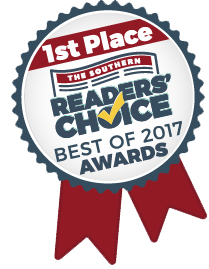 Service Detectives is proud to be one of the most highly reviewed electrical and home services companies throughout southern Illinois. With our up-front pricing, seamless customer experience, and unmatched guarantees, we’re confident we’ll be the last electrical company you’ll ever need. Not many businesses around like these guys anymore. If I could give them more than 5 stars I would. We now have peace of mind that everything has been done the right way and my family will be safe for many years. Your home’s electrical systems can be dangerous, costly, and complex — especially when you try and handle it all yourself. Whether it’s your home’s main electrical system, protecting your electrical items from a power surge, or setting up your electrical panels the right way, you want a professional when it comes to what keeps your home running. If you’re in southern Illinois and you’ve got an electrical project or problem, you can rely on our electricians to keep your home's electricity up and running. Service Detectives provides fast and reliable electrical services. 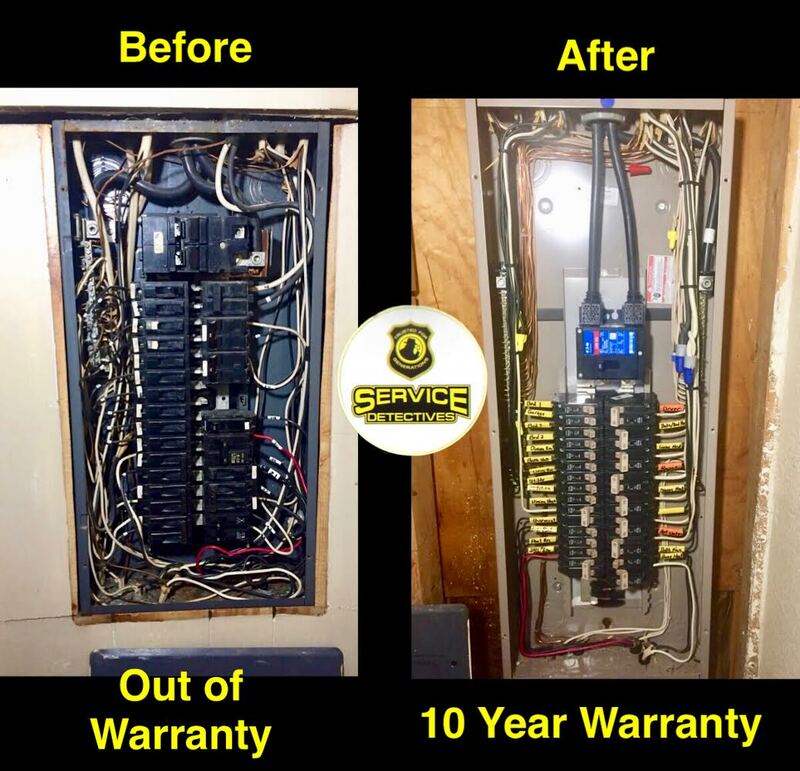 Call us today and we’ll send one of our background-checked, expert electricians straight to your door to solve your electrical problem. 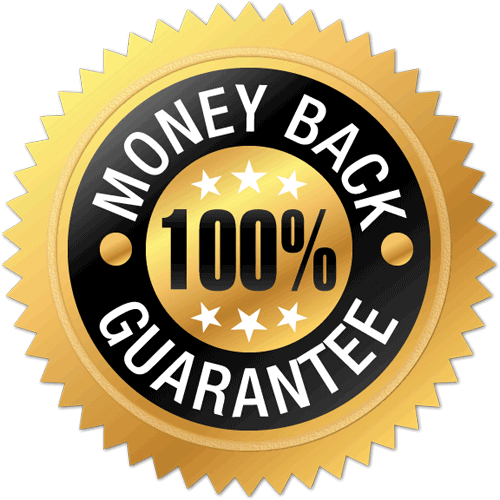 Service Detectives warrants and guarantees to the original purchaser, accepted repair(s) shall be free from defect in materials and workmanship under normal use and conditions for a minimum of three years for residences and one year for commercial properties, unless otherwise noted. (Does not include motors, batteries or light bulbs). Without you even knowing, your air duct system could be contaminated with particulates that can be harmful to you and your families health! Dirt and dust, dust mites, pet hair and dander and rodent feces are just a few things that can be inside your air ducts and circulating through your home in the air you breathe. We inspect your duct work or your dryer vents to show you what you are breathing! With our state-of-the-art video inspection system we will show you deep inside your ducts so you can see if cleaning would be beneficial. Our technicians use video inspection to look for dirt, debris, animal droppings, mold moisture and more. Next your ducts are scrubbed clean. We can fog them with an EPA-registered antimicrobial mist that disinfects your system and even leaves a pleasant scent behind. Professional, personable, concern for the customer and quality workmanship. These qualities are always present in every task that is completed by Tony and his team. It is comforting to know that the job is well done and nothing is overlooked. I have, do and will call Service Detectives each and every time. Have you ever considered how many ways your family depends on electric power to 'power' your lives … lighting, heat, air conditioning, refrigeration, cell phone power, garage doors, security systems, home office equipment, radio, television, life-saving devices, and much more. With a whole home generator, you and your family can rest assured the power you rely on to charge your life won't be interrupted. 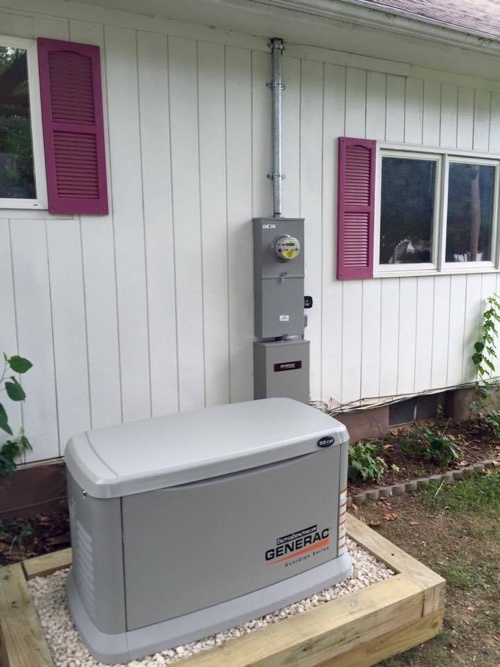 A whole home generator will ensure you never have to be without power again. Hopefully, your family will never be impacted by such a disaster, but if a disaster does occur, you can be ready. A Service Detectives' whole home generator will save you money over the course of its lifetime. It is estimated that the average family spends approximately $800 per month on groceries. Think of the waste and money spent on replacing that stored food in your refrigerator and freezer. What about medicines that need refrigeration? During an outage, those would risk being ruined. Also, once the power is restored after an outage, the power surge can damage your expensive appliances and equipment. With a whole home generator, you can protect your home's valuable power supply. This electric generator system kicks on automatically when it senses your power supply has been interrupted. With a Service Detectives' whole home generator system, you can enjoy peace of mind, industry-leading guarantees, and the convenience of knowing our trained team can keep your whole house generator in tip-top shape. 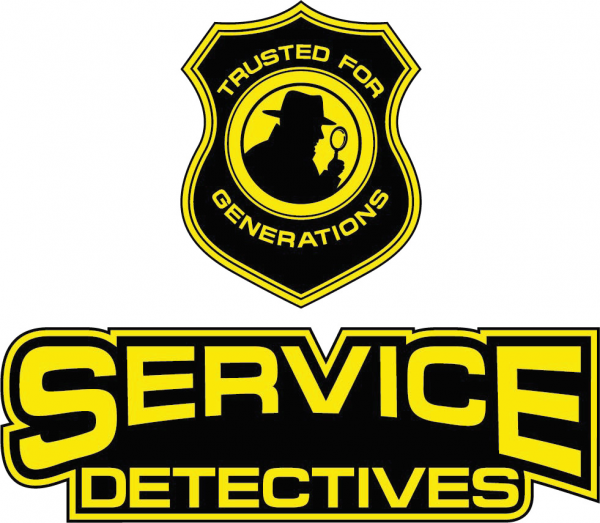 Service Detectives is all about their name giving good service. Prompt response to your call emergency or just needing a check-up. Great intro charge to check out your house for any issues that need corrected. Family owned company, there to meet your electrical needs. When you choose Service Detectives, you’re hiring the best in the business. Our trained service representatives will pick up the phone and figure out exactly what you need. We’ll schedule our service at a time that works for you. Our quotes are firm: we never tack on hidden charges. When we do a project for you, we guarantee that it will work just like you expected — the first time! 100% Family-Owned & Operated Since 1968. No outside investors to please here. Try us and see why your neighbors use us! 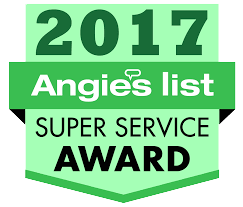 This Coupon entitles a Homeowner to a $25.00 Discount off any service or repair we offer performed by Service Detectives at their residence. Only one (1) coupon per service address will be accepted. Coupon must be presented at the time of service. Payments for the balance is expected at the time of service. This Coupon entitles a Homeowner to a $89 Electrical Safety Evaluation performed by Service Detectives at their residence. Only one (1) coupon per service address will be accepted. Coupon must be presented at the time of service. Payments for the balance is expected at the time of service.